This mousetrap is made of dual plastic. With its small and elegant design, it’s convenient to carry and safe to use. This product is special designed for mouse. Also, it’s easy to set for just pressing the trap. 1. Press the trap open. You will hear a click when it is set. 2. 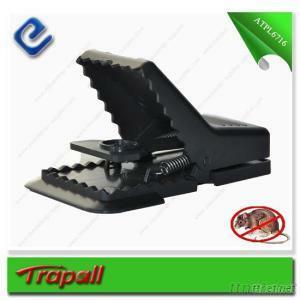 Place the trap perpendicular to a wall where rats run with the food on the bait cup. 3. Open trap to release the trapped rat into the trash. No need to touch dead rat. 1. All mouse traps can be dangerous to children, keep children and pets away from all traps.